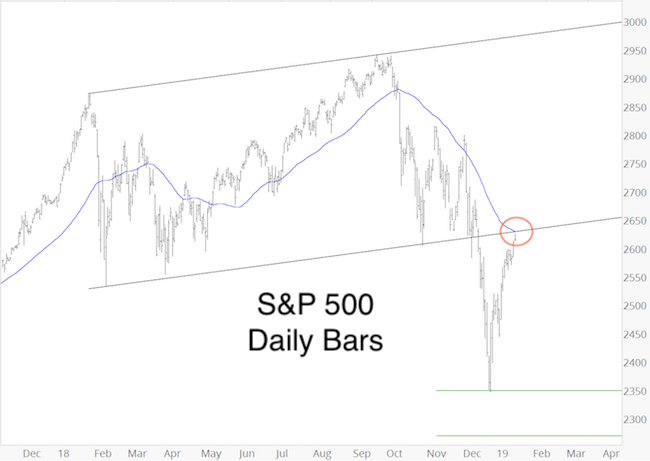 Friday was the first time since October 15 that the S&P 500 displayed a blatant lack of internal deterioration. The ensuing Friday/Monday slump quickly erased three weeks of up side progress. 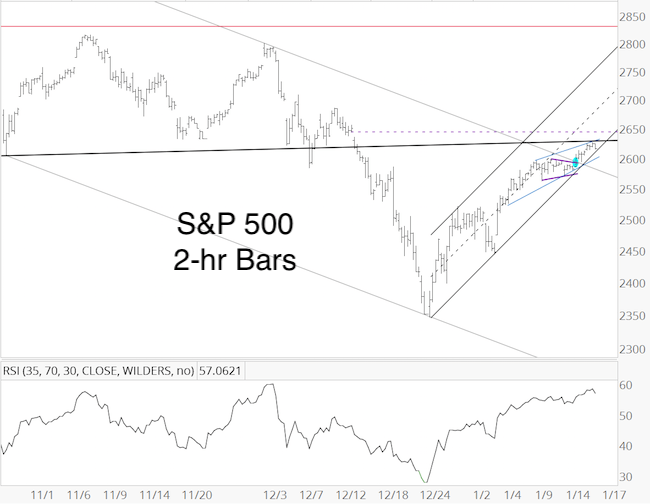 “On Friday the S&P 500 reached a new intraday and closing all-time high. 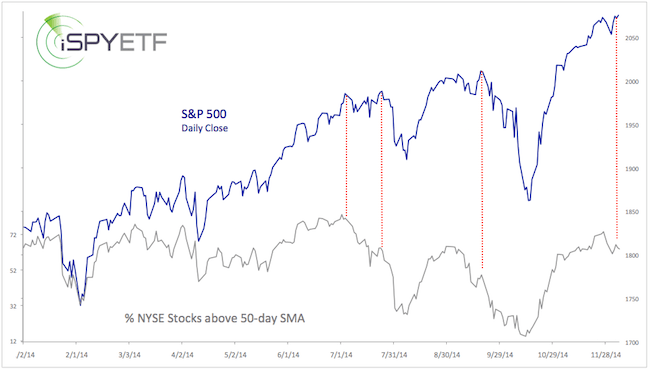 The percentage of NYSE stocks above the 50-day SMA did not confirm Friday’s price high. 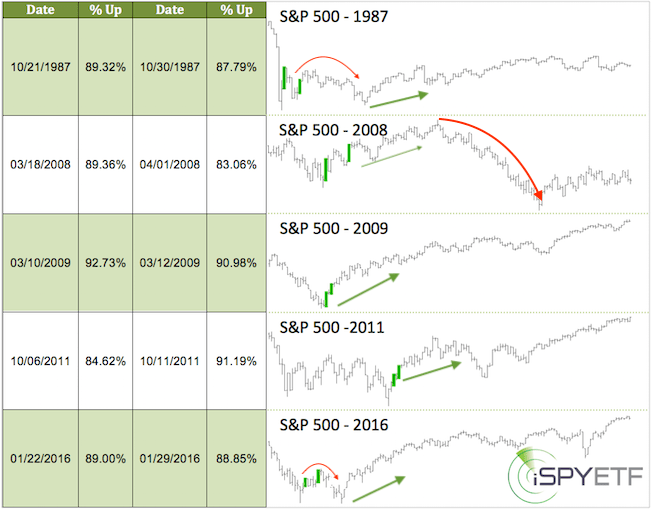 That’s the biggest divergence between price and % of stocks > 50-day SMA since this rally started. 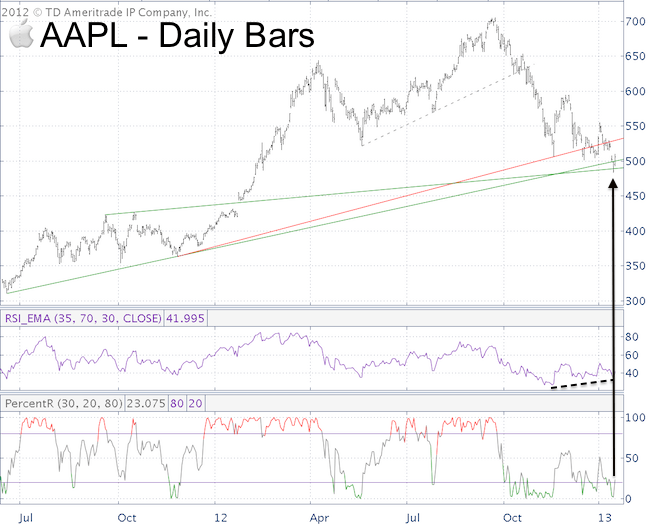 Near-term support is around 2,040 – 2,030. I’m not yet sure if and how much lower the S&P 500 will drop, but the deeper the correction, the better the next buying opportunity. 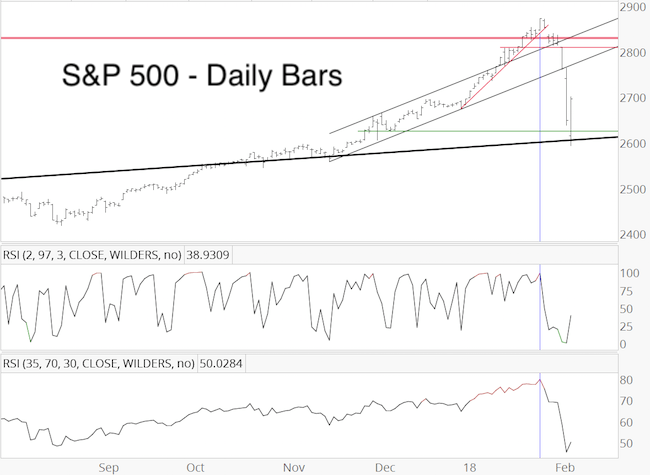 It’s worth noting that the % of stocks above their 50-day SMA was the only indicator I follow that actually showed a small bullish divergence at the October 15 low. I’m not sure if this correction will be long enough to create a bullish divergence, but if it does, it shouldn’t be ignored. For the first time this year, small cap stocks look actually more attractive than large cap stocks. The iShares Russell 2000 ETF (NYSEArca: IWM) has the potential for a bigger year-end pop compared to the SPDR S&P 500 ETF (NYSEArca: SPY). 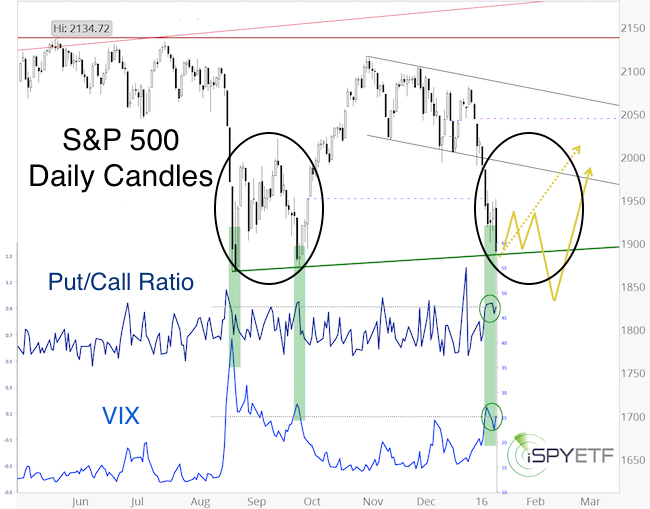 Continued analysis and buy/sell signals for SPY and IWM will be available to subscribers of the Profit Radar Report. 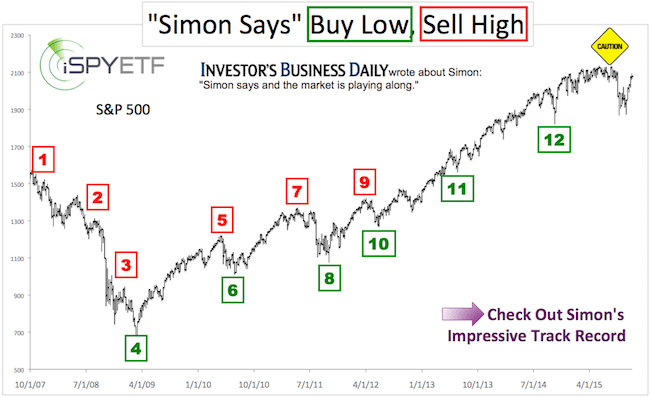 Follow Simon on Twitter @ iSPYETF to get actionable ETF trade ideas delivered for free. Will Google’s Fumble Take Down the Entire Technology Sector? Due to a combination of facts, Google shares dropped as much as 11% on Thursday before trading in GOOG was halted by the Nasdaq. What caused this meltdown and will it carry over and drag down the Nasdaq and technology sector? Google couldn’t wait to share its disappointing Q3 earnings with Wall Street. Although slated for an after-hours earnings report, Google accidentally spilled the beans around 12:30 EST. At first it looked like a refreshing change to Washington’s modus operandi of extend and pretend or snore and ignore. But as it turns out, R.R. Donnelley (the company that does Google’s financial filings) accidentally filed Google’s 8-K form too early. Surprise turned into disappointment and distain as investors dumped GOOG as fast as they could. At one point GOOG was down $83.43 or 11%. Nasdaq even suspended trading in GOOG. 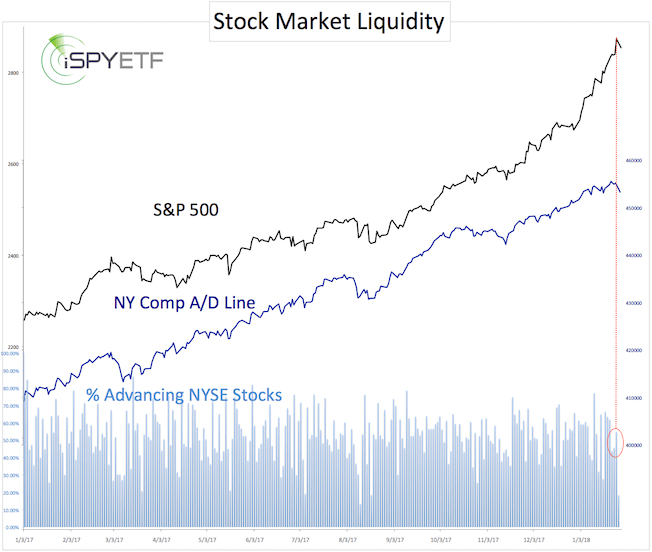 Why the rush for the exits? Analysts surveyed by Thomson Reuters expected earnings of $10.65 a share and net revenue of $11.86 billion. The actual profit was only $9.03 a share on revenue of $11.33 billion. Another major concern was that the average price that advertisers paid Google per click fell 15% from a year earlier. If Google, the king of monetizing advertising dollars, can’t charge top dollars anymore, how will Facebook and others? Google is the third largest component of the Nasdaq-100 Index (corresponding ETF: PowerShares QQQ) after Apple and Microsoft. 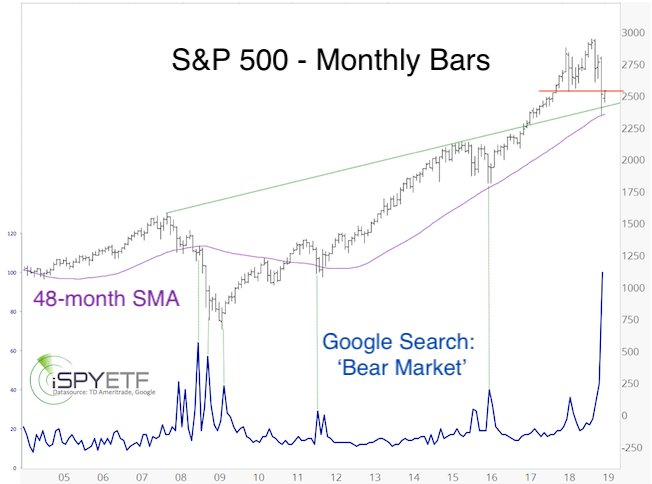 What does Google’s sell off mean for the Nasdaq QQQ and the technology sector (corresponding ETF: Technology Select Sector SPDR – XLK)? 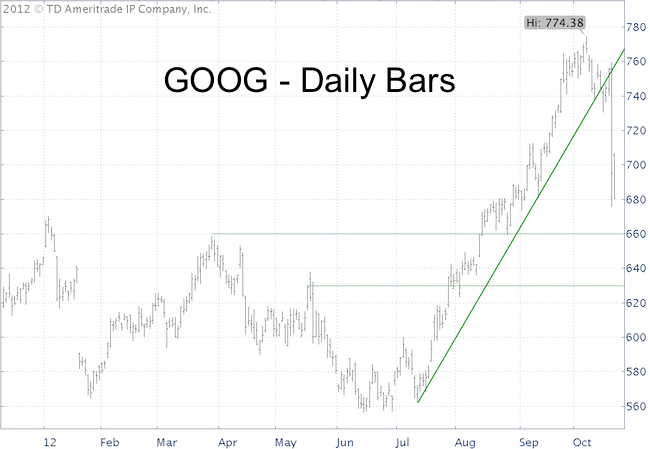 GOOG trading volume was through the roof as prices tumbled below the 20 and 50-day SMA and a couple of trend lines. Prices generally stabilize somewhat after large sell offs like this before falling a bit further. A new low parallel to a bullish price/RSI divergence would be a near-term positive for Google. 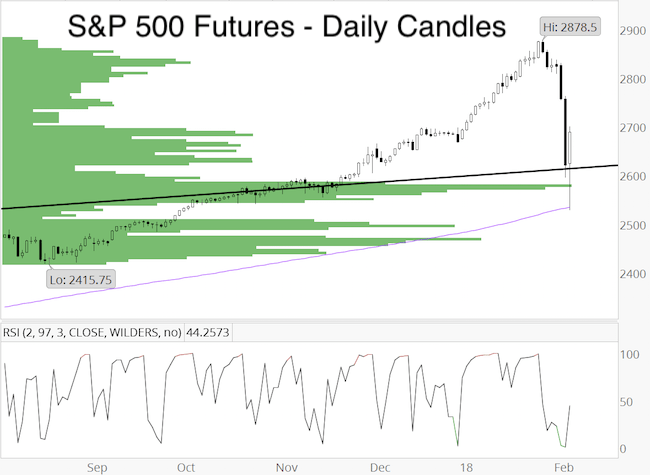 Next support for GOOG is around 660 and 630. Will Google Drag Down the Technology Sector? 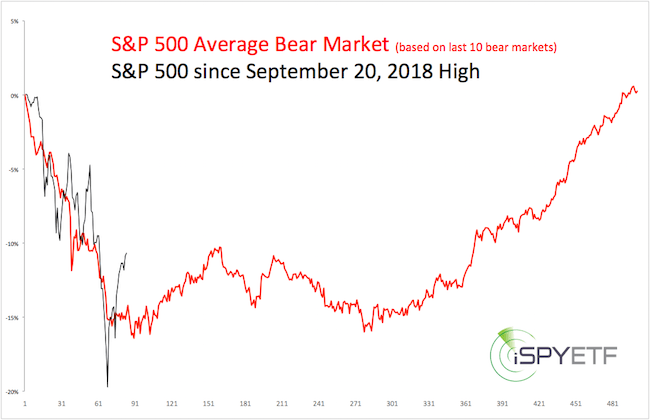 The Nasdaq Indexes and the Technology Select Sector SPDR (XLK) has been much weaker than the Dow Jones and S&P 500 as of late. 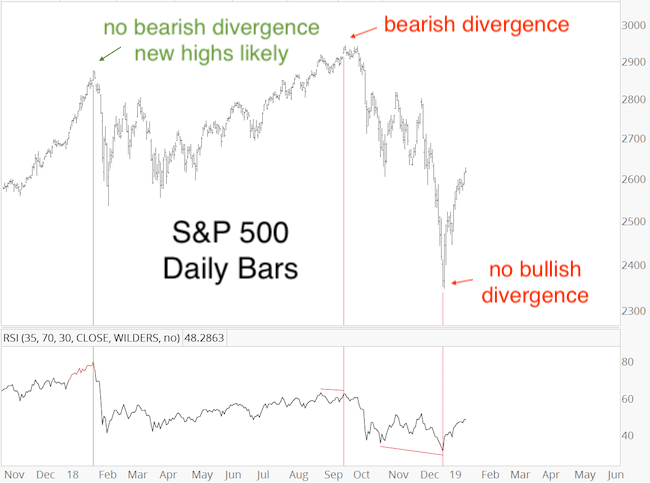 There were no bearish divergences at the recent S&P and Dow highs. 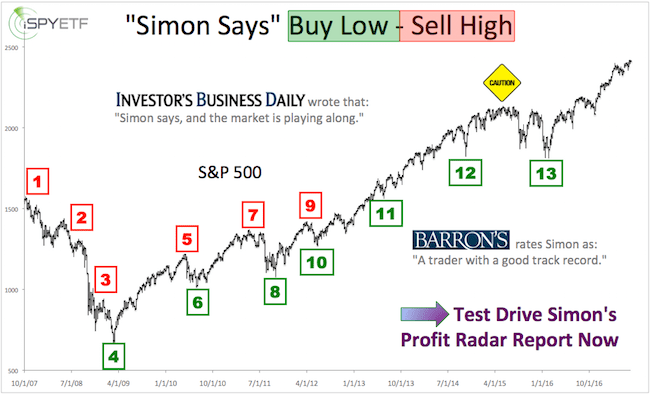 This lack of indicators pinpointing a major top limits the down side of the tech sector. 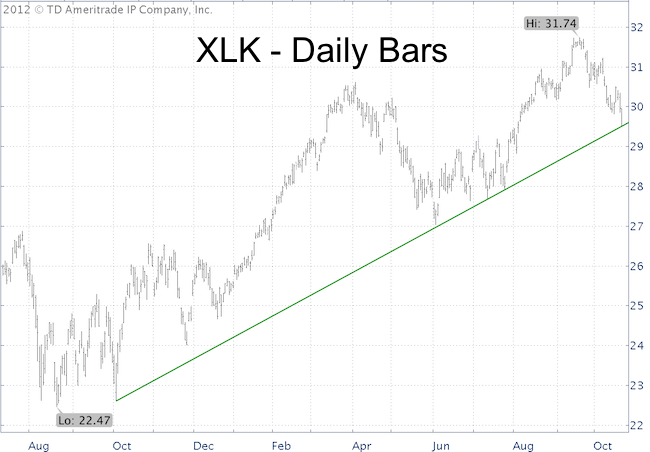 Key support for the Technology Select Sector SPDR (XLK) is at 29.50. A move below 29.50 would be technically bearish although there may not be much more down side. Traders may use 20.50 as trigger point for bullish and bearish trades.